Eshun knows a thing or two about putting on a good show. The former director of the Institute of Contemporary Arts (ICA) is currently chair of the Fourth Plinth Commissioning Group as well as creative director of the Calvert 22 Foundation and contributing editor at Esquire. A regular cultural commentator on TV and radio, his 2007 Orwell Prize-nominated book Black Gold Of The Sun tells of his journey from England to Ghana in search of his ancestry. He’s also currently writing a book on the history of hip hop. He also selected Liz Johnson-Artur, a photographer he used to commission as editor of Arena magazine in the late 1990s, whose images span 30 years of street life everywhere from Moscow to Kingston. He then went on a journey of discovery to find photographs that further resonated or surprised. The earliest images are by an unknown photographer in the Larry Dunstan Archive depicting a group of Senegalese men proudly posing in all of their finery circa 1904. “There is a knowingness about their elegance, style and extravagance,” Eshun adds. 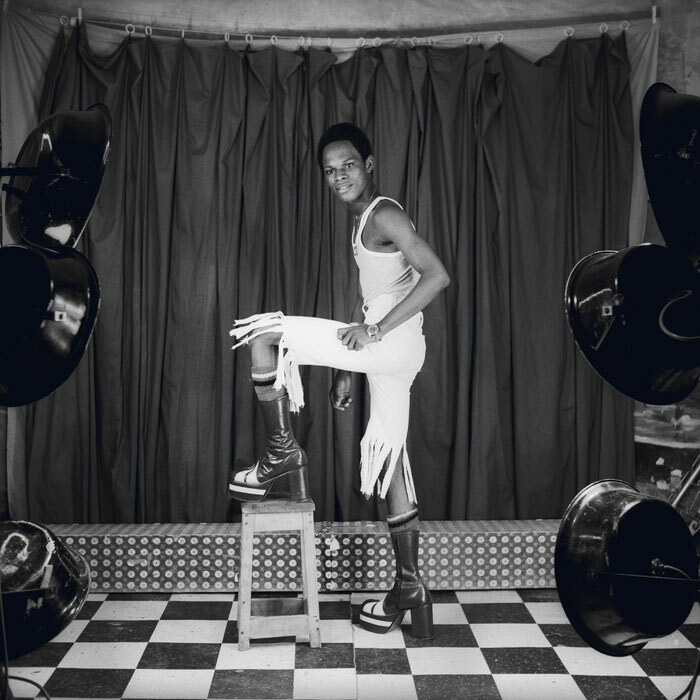 The newest images were also taken in Africa, this time by Nataal contributing photographer Kristin-Lee Moolman whose work creates new mythologies through her cast of opulent, louche characters who reject binary approaches to gender and race in South African today. 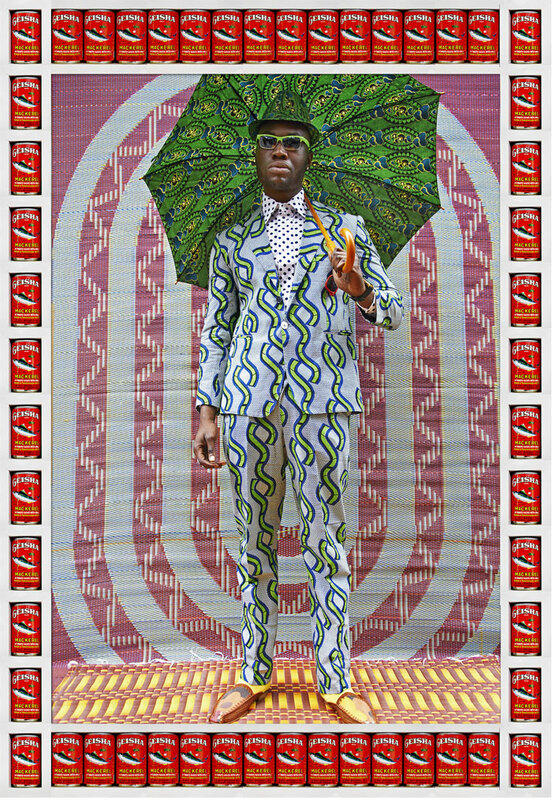 In between these dates, we travel to the Harlem Renaissance of the 1920s through the imaginings of Isaac Julien’s 1989 film Looking For Langston, and to contemporary London and Marrakech where Hassan Hajjaj styles his friends in designer logos, wax prints and polka dot djellabas. These and other touch points speak to how dandies have long expounded stereotypes with their provocative public displays of fabulousness. The Oxford dictionary defines dandy as ‘a man unduly concerned with looking stylish and fashionable.’ In 18th century France and England the term was used to describe transgressive aristocrats who elevated peacocking to a spiritual vocation. The lineage can be followed from the musings of Charles Baudelaire to the gallivanting of Beau Brummell to the novels of Oscar Wilde and beyond. Black dandyism however, whether channelled by zoot suiters, swenkas or sapeurs, historically started from a polar position.